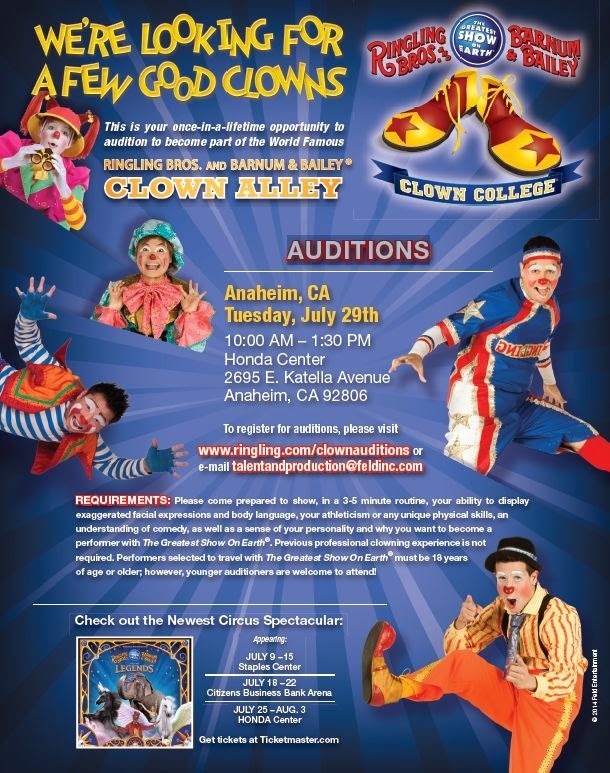 Ringling Bros. and Barnum & Bailey is looking for a few good clowns! Ringling Bros. and Barnum & Bailey is looking for a few good clowns! Please click on the flyer below for more details.